Well, the republican President Donald Trump is at it again, showing all of us his true colors, as he has in the past with women who have dared to challenge him in some way. 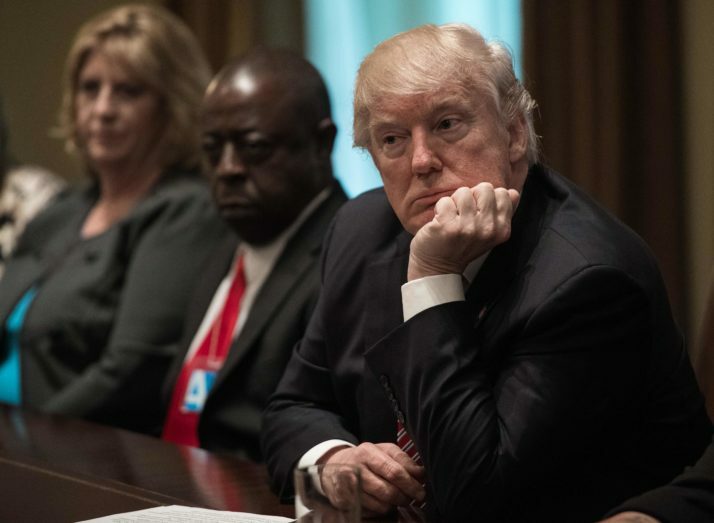 This latest incident involves some over the top tweets by the president which drips with sexism, in reaction to the co-host Mika Brzezinski of the MSNBC’s “Morning Joe” daily show who dared to question the president’s credibility. The tweets are so crude that even some republican lawmakers are refusing to defend the president on his bullying tactics. And besides, doesn’t he have a country to lead? The hosts of “Morning Joe” on MSNBC criticized President Trump’s Twitter habit Thursday — “that’s your president of the United States lying to you,” Mika Brzezinski said of one tweet — and then, as if succumbing to involuntary spasms, Trump’s thumbs tapped out whatever nasty, sexist thought popped into his head. 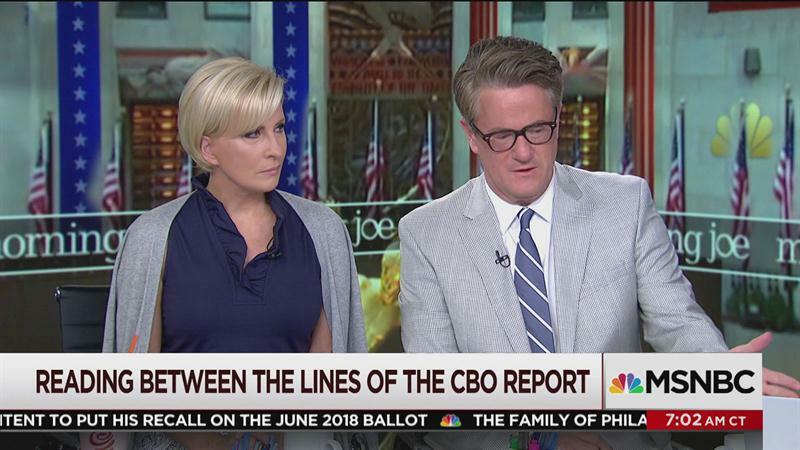 Some day, when things calm down, I’ll tell the real story of @JoeNBC and his very insecure long-time girlfriend, @morningmika. Two clowns! Brzezinski tweeted a response of her own. Today, the president’s spokeswoman defended the president’s actions. She said that when someone punches him, he punches back harder. As usual, thanks a million times over for all your support and for this reblog. Just when it looks like tRump can go no lower, he surprises us and manages to dig the hole deeper! Do you suppose he realizes that if the MSM takes the gloves off and actually attacks that he might not be in a good position to with stand the pressure? What if suddenly they decide to take on the “illegal alien” status of his wife? Or any of the prior scandals involving his adult children? It makes one think about the saying “people in glass houses should not throw rocks”! I would just like to see a few republican male lawmakers truly sit on this guy with a few blessed words. They keep enabling his boorish behaviors because they are scared of the bully. Here is a few short words from Dan Rather, that while not addressing this subject, are well worth the minute or so spent reading! Thanks a million for this reference. Dan Rather said it perfectly. I’ve already scheduled a blog on this for tomorrow morning. We have had a hard time surviving these few months. I am exhausted and weary but I am not giving up. Remember the saying, fall that is needed for evil to succeed, is for good people to do nothing. I am willing to bet that Melania has been a victim of his bullying. She picked the wrong platform considering that she is married to the BULLY-IN-CHIEF. LOL, Mika’s Cheerios Tweet is hilarious, you go girl! You know what they say about small hands and small everything else. Mika knew very well that the president is overly sensitive about his small hands. Here we go again, Trump just won’t stop tweeting. Why can’t he (pretend) to run the country like any other president? ‘He’ is supposed to be the President of the USA. The office comes with a level of dignity and gravitas. I won’t stain your hard blog with my basic descriptive words of the oaf current occupying the Whitehouse, suffice it to say as I keep on saying The USA does not have a president, just a ‘person’ who occupies The Whitehouse. Take care of yourself Gronda. Take some time out from the good work. Rest and refit. The WH is inhabited by a vain, venal, thin skinned man who has mental health challenges.And, yes, I need to plan a trip away from all of this. What will be interesting is when he tries to challenge face-to-face the Military or Intelligence Service Apparatus at ‘Defcon Level 1’. They will accept professional long service politicians (with fur flying a bit no doubt) but not a bunch of amateurs from the Greed Sector. I wonder if DDT has had one done? What is sadder is that I was left with the feeling that Sarah Huckabee actually believed what she was saying.